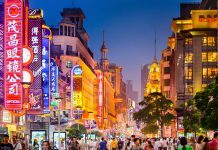 People just love to shop, and if you love shopping, you’re bound to love Shanghai, even though brick-and-mortar stores have taken a bit of a beating recently as everything has gone online. But traditional department stores are fighting back, especially in Huangpu District, where over half of the city’s commercial facilities are based. Plans are afoot to renovate traditional stores and the Nanjing Road Pedestrian Mall may be extended, said Chen Zhuofu, deputy director of Huangpu. Some of the city’s time-honored brands may be struggling in the face of new shopping trends, but it is up to the government to support these commercial stalwarts in their time of need, he added. “Huangpu is creating a real Shanghai-style commercial environment. We are working toward the best possible customer experience and a truly global influence,” Chen told the district’s legislators over the weekend. Renovation of the Shanghai New World Department Store on Nanjing Road W. will begin in the second quarter and will be completed by the end of the year. With the No.1 Shopping Center and Shimao International Plaza both just reopened after facelifts on the opposite of the Xizang Road M., the area looks set to become a hive of rampant consumerism. Sincere Co, one of the four big Chinese-owned department stores on Nanjing Road, will be renovated, along with the Shanghai Fashion Store and Hualian Commercial Building. These stores, once most popular shopping destinations in the city, are lagging woefully behind current fashion trends and shopping habits, but there is no reason why they should not catch up. The district began rejuvenating these old-brand stores in 2016, when times had rarely been so gloomy. Competition from online stores was fierce, but what didn’t kill them made them stronger and traditional stores have been reborn, with their historical appearance and flavor largely retained. Retail sales of consumer goods in Huangpu grew by 5 percent in 2018 to 86 billion yuan (US$12.75 billion), a new record in recent years, Chen said. Shimao International Plaza has been a big hit. Xintiandi Plaza, once Shanghai Pacific Shopping Center on Huaihai Road M., is strongly focused on the shopping and social demands of female customers. Shanghai New World Daimaru has become a Mecca for comic fans. The renovation of Nanjing Road Pedestrian Mall will be completed this year, including the possibility of extending eastwards, according to Chen. Century Plaza, where the New Year countdown was held every year, will also get a major renovation. 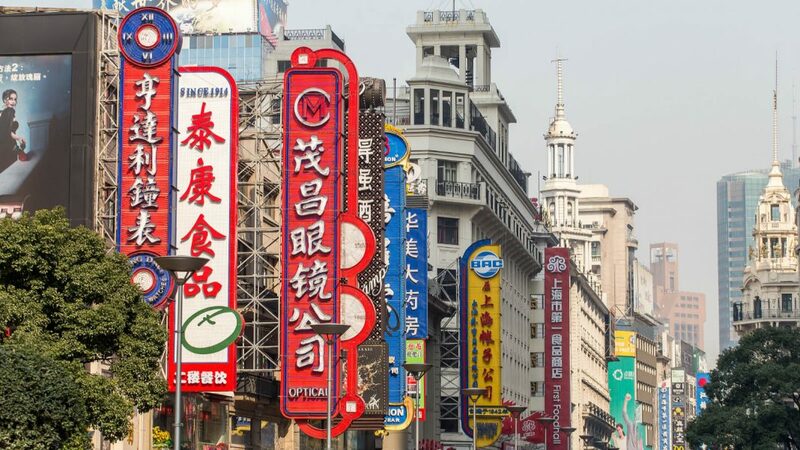 Huangpu also plans to create new night markets — Yuanmingyuan Road near the Bund, “The Central” on Nanjing Road E., and the Cool Docks, a fashion and dining landmark on the Huangpu River.